By now, you have hopefully heard of the OnStar 4G LTE-based Wi-Fi hotspot functionality in GM’s 2015 model year and newer vehicles. Those who use the OnStar Wi-Fi hotspot love it, and those who don’t usually point out that their smartphone can accomplish the same thing, a fallacy that we’ll address at a later time. After using the service in nearly every single test vehicle we’ve had for the last year, we’ve realized these noteworthy benefits that the built-in Wi-Fi system has over that of a smartphone. 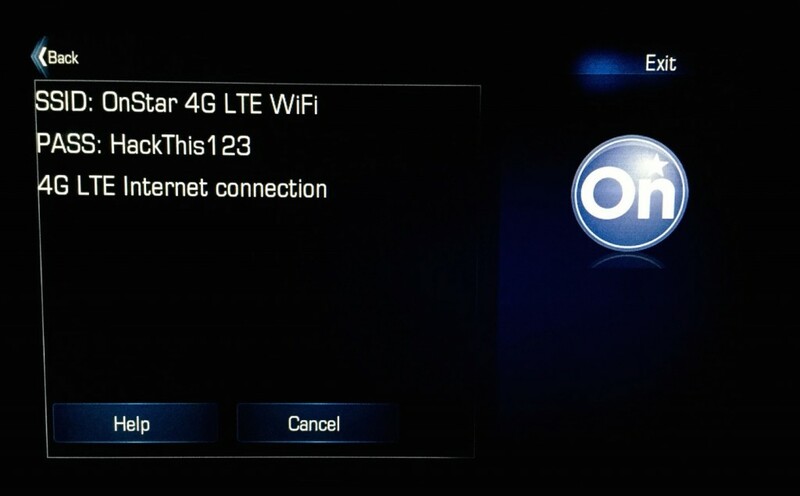 The fact that the OnStar 4G LTE Wi-Fi is active when the vehicle is on (accessory or engine on) makes it that much easier to connect to the network: simply start the car, and your devices connect to the car automatically. Contrast that with enabling the hotspot on a smartphone, each time you get in and out of the car, and the convenience of the built-in system speaks for itself. The OnStar hotspot allows you not to worry about keeping your phone charged or interrupting the phone’s hotspot functionality when making or receiving calls. When the cable network suddenly went out at out friends’ home during an online meeting, we used the OnStar Wi-Fi hotspot in our Chevy Silverado as a back-up, connecting to it from laptops within the house. Simply put, the OnStar Wi-Fi hotspot is always on, always ready, and always available. 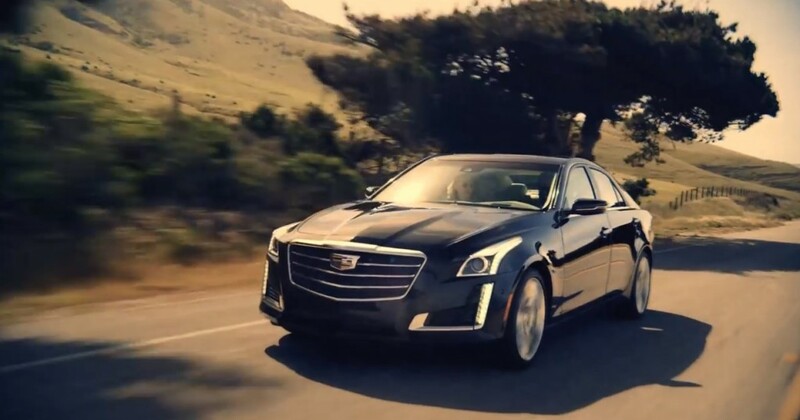 In our time with GM’s test vehicles, we’ve taken trips with all kinds of people — friends, family, adults, children — in the vehicle, all of them connected to the network. And giving a kid an iPad connected to a live Wi-Fi network is the prerequisite to keeping him or her quiet on a road trip. Throw in some headphones and silence is yours. Outside of using OnStar 4G LTE Wi-Fi hotspot in the vehicle, we’ve used it during barbecues and cookouts, picnics, and tailgate parties. Just write the name of the network and its password on a piece of paper and stick it on a window for everyone to connect to. For those who rely on the internet to work rather than play, the GM-OnStar Wi-Fi system is quite handy. Not only does it allow you to get work done in the vehicle, but it also works in a 50-foot vicinity of the vehicle. Road warriors will also appreciate not having to worry about battery life, which is the weakest link during tethering. How big is the antenna on your cell phone? If you answered something along the lines of “not that big” or “pretty small”, you’re right. The miniaturization of consumer electronics devices have resulted in a gradual decrease in the size of components such as the antenna. So when you look inside nearly any smartphones today, you’ll see a fairly minuscule antenna that’s responsible for connecting the device to the network. Now, look at the antenna (or fin) at the top of a GM vehicle equipped with OnStar 4G LTE. Much bigger, right? Right. And the fact that said antenna sits atop a sizable chunk of metal helps amplify the signal. The end result is that the car has a stronger connection to the cell towers than even the beefiest of cell phones. But enough with the theory. In personal experience, we have had times when our smart phones — running on AT&T network — had no reception, while the vehicle — also on the AT&T network — did. For $10 per month, existing AT&T subscribers can add a GM vehicle with OnStar 4G LTE to their account, essentially making the vehicle a device on the plan and allowing it to share in the account’s data. The option presents an easy way to start using the service after the 3-month, 3GB trial. 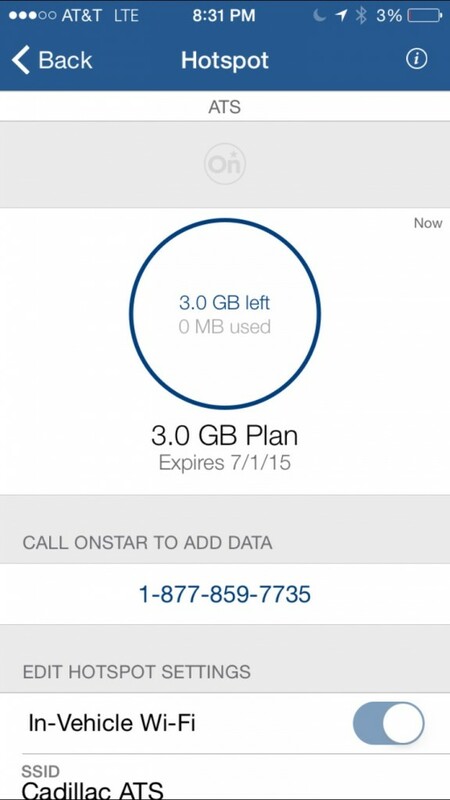 Those electing to use the monthly or one-time data plans should know that they can keep track of their data usage using the OnStar RemoteLink app or by hitting the OnStar button and asking the advisor. 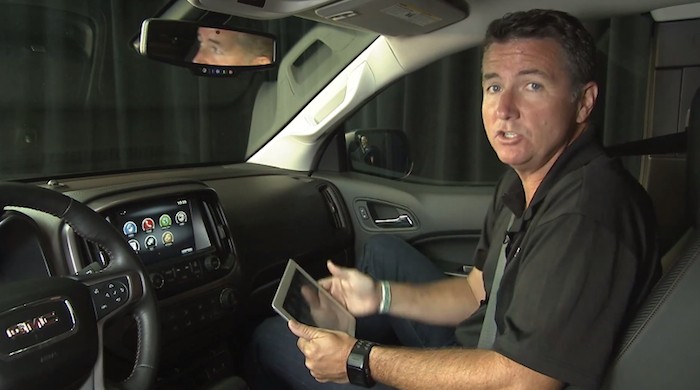 So, do you use the OnStar Wi-Fi features? Why or why not? Talk to us in the comments. 1a. If you’re a Mom with two kids who insist on being connected while driving — and you do errands — yeah, it would save time. If you typically drive alone, a minus. So let’s call this a base hit. Batter up. 1b. OnStar doesn’t need battery babysitting? Move that dude to second base and put our new batter on first. 2. Kids being silent has nothing to do with the advantages of OnStar, since said advantage applies to HotSpots. STRIKE ONE! Batter up! 3. Ouch! Being able to get ‘work’ done is as irrelevant as kid playing, since both can be done with Hotspots. Oh, and suggesting the OnStar advantage is 50 feet tethering when your cellphone can go anywhere? STRIKE TWO, with a man on first and second. Batter up! 4. Presuming the argument is true that the car has a stronger antenna, this is a base hit. Bases loaded, Batter up! 5. ATT users can use their data via OnStar? HIT! Out of the park! Send four dudes over homeplate. John, I love the baseball theme. Nice! But I think you’re interpreting this in a completely erroneous fashion. It would seem that you’re pitting the two — OnStar Wi-Fi hotspot and Smartphone Wi-Fi Hotspot — against each other. There is no reason to do this as they are not mutually exclusive, and each has their individual benefits and instances of greater convenience. 1a. “If you drive alone, a minus.” More like a neutral. The game’s rained out, put the bat down and get back into the dugout to chew on some chew. 1b. Not sure what battery babysitting means… does you battery need babysitting when you’re driving your car? 2. Ok, if you really want to mince hairs, let’s put it this way: OnStar Wi-Fi is a way to keep your kids quiet CONVENIENTLY. Scratch that strike. Also a neutral. So far,no one on base. 3. Right. A smartphone-based hotspot can also do both. Again, it’s not an either or scenario. 4. The argument is, in fact, true. Question: if you can use OnStar outside of the car up to 50 feet away — must the car be on? OnStar 4G LTE Wi-Fi is on when the vehicle is on accessory OR the engine is running. Its a great advantage for a large number of people who work outside the standard office of 4 walls. Realtors (and their clients), Contractors, Home Inspectors, Mobile Sales Professionals, Insurance Adjusters, Landscapers, Farmers, Security companies, Private Investigators, Tow trucks … you get the point. While I use it with as my as a casual data service (not work related) for my cellphone. I cancelled mycellphones data plan soon after getting one of these vehicles. I work 10 minutes away from work and since having access to OnStar 4G I am hardly ever offline. I have reliable wifi at home and at work .. and now also during my short trips to work and out and about. Where I miss it is when I go grocery shopping as most grocery stores around me don’t have free wifi. My 2 kids enjoy it as well. Usually they used to be restricted to only playing games on their ipads on those longer trips but now they can also watch youtube and Netflix. I like the fact that there is also no roaming charges when I travel out of the country and I am always connected to the best network in Canada (Rogers, Bell or Telus) and AT&T in US. There is no contract on this service either or a device credit I need to pay back to OnStar if I cancel service at anytime. The equipment stays with the vehicle even if I choose to not use it and I can activate it at anytime I like on a month to month bases without any so called connection-disconnection charges etc. I use it everyday and absolutely love it. If I didn’t have it I will immediately have to get my cellphones data service activates so certainly I can live without it but id rather not. Huge competitive advantage? probably not. Remember the days when kids didn’t need to be entertained by an electronic device to be quiet on a road trip. Back in the days when we used to communicate with our mouths. I also remember when families used to talk to each other at the dinner table. Now usually we are catching up on facebook or texting our friends while having dinner “with our family”. alas kids learn from grown ups. Did no one read the Wired article about hackability? Yes, they hacked a Cherokee. The second most-hackable vehicle is the Escalade. So thanks for the technology – but right now, people can unlock your car with a laptop. They can track your movements via GPS coordinates. Disable brakes, alter your speed, pretty much anything. So why would someone do that? Well, popping your locks is easy. Being able to tell when you’re not home makes the home vulnerable. More inventive hackers could, I dunno, create traffic jams to get away from police, or block a motorcade – OnStar’s been able to disable power in a perceived stolen car for years. Car tech is cool, but safeguards aren’t in place (yet). In any event, it makes for a good Ocean’s 14 plotline. Except when the car is off. My hotspot on the other hand can be on when the car is off. Or when we are in a hotel room. Or when we are at a picnic. Or when we take my wife’s car. Or when our internet goes down at our house. With a hotspot, everyone can still connect to the internet. Offers all the same benefits, plus is this always a benefit? Might you sometimes want to unplug your family? And what about when you go into the Doctors office, or go ANYWHERE- no internet for you! And lets not forget video. Streaming video is largely out, as Netflix uses 3GB/Hour per device for 1 HD video or 1 Gb/Hour for non HD video. Maybe your better off spending that money on a Rear Entertainment System for the kids that plays those old shiny disk things. “For those who rely on the internet to work rather than play, the GM-OnStar Wi-Fi system is quite handy. ” So is a hotspot. In fact a hotspot will let you work when you’re at the job site and have to turn your car off since 8 hours in ACC mode might kill the battery. It will also help when you’re in a hotel, except those fancy drive-into-your-room hotels that probably don’t exist. Don’t have to worry about battery life? When I go on a 3 day camping trip, can I leave my truck in ACC mode for 72 hours? I don’t think so. Plus, can’t someone STEAL MY CAR if I’m 50 feet away and leaving it in ACC mode? (ie sitting in a camper or tent, or inside a building like a restaurant). Plug in a hotspot to to the ACC plug in the car and you’ll not have to worry about the battery life while driving or in the car, and you can even turn off the car for 8 hours at a time! This one might be valid. Although how much is an external antenna for a hot spot? Less than a yearly cost of service for ONSTAR. But for the simplicity, I’ll give this to Onstar… except for one little piece. It still relies on AT&T, so what about Verizon-dominate places or others? But that’s really case by case. “For $10 per month, existing AT&T subscribers can add a GM vehicle with OnStar 4G LTE to their account, essentially making the vehicle a device on the plan and allowing it to share in the account’s data.” Let that sink in for a minute. If you have AT&T and 3 vehicles like I do, you can pay $360 to tap into the same data your already paying for. Say you’re a normal family with only 2 vehicles. Now your looking at “only” $240 a year to tap into the SAME data your already paying for. And what if you are NOT an AT&T Customer? Current prices are $30/month for just 3 GB of data. According to Fool, US Customers use an average of 1.8 GB of data per month. Netflix uses 3 GB per HOUR for each stream of HD video. So if you have 2 kids who watch one movie each in a month, even the $50 a month plan won’t cut it. So lets limit them to Facebook and playing games, and assume $30 per month for 2 vehicles- of course limiting what they can do. This keeps your budget at a nice tidy $720 per month. A hotspot can spot you more data at a lower price, AND allow you to share it between vehicles, saving you hundreds. If $720 ($240-$1200) isn’t a big deal to you. (that is 6.9% the average American family’s expendable income or about 2% the median American’s post-tax income), its great. Its convenient, its easy, its one more way to connect simply to the world around you. But if the idea of having an extra $720 excites you, then the value proposition isn’t there. It is simply a convenience item and really won’t improve your life significantly. It’s the workout room instead of a gym and the concierge service instead of google. There’s a place for it, some people will find it worth it, but there isn’t a strong value proposition there for most people. But I didn’t want a Pepsi Vending machine and I certainly didn’t want to have to pay to have it installed. Great comment that most people don’t want to look at. OnStar adds cost to the bottom line of the vehicle and is an expensive monthly charge for what you get. I couldn’t imagine paying $30/month to access someone to tell me how to get somewhere. I don’t even want to know how much I actually paid for the equipment I knew I never wanted. With this new Wi-Fi via Onstar showing up in their 2015 models GM could save themselves a bit of money by discontinuing the rear seat entertainment systems . I had one in my ’07 Escalade that was mounted in the center of the headliner ( used once ) . I have the system in my GMC Terrain , two screens mounted on the back of the front seat headrests , ( never used ) . Kids or adults for that matter have their tablets or phones loaded withe the movie or game they want to play . As with the CD players there isn’t really any need for the systems anymore . Thats been my experience . Hmm… We use our DVD player all the time and its a requirement for a car we buy. But then again I don’t let my kids download movies… I guess it depends on your family! We live on a ranch in Texas, miles away from “civilization” (we actually have two ranches 45 miles apart) and our internet service provider was a wireless broadband connection, costing us $200 per month for both locations. The original service provider was owned by a local/regional company. 5 months ago they sold out, the were resold a second time and a third time. The service was never reliable but went from bad to worse. I recently canceled our service with this wireless company and now use my 2015 Volt as a wifi hotspot for both ranches. Ironically, our service is now 5 times faster and instead of paying $200 per month, I’m paying $50 per month for the 5 gigabyte plan. The original broadband connection was oversold and as a result the connect speeds were like they were in the late 90s though a telephone connection, and when bad storms blew through our area, we usually lost service. So far, my service through my 2015 Volt (my second Volt BTW) has been rock-solid. GM should provide a way to completely disable the OnStar unit, not just cancel the service. It is a violation of personal privacy to force everyone to use OnStar and jump through the hoops to cancel the service and absolutely no documentation on disabling the unit by the owner of the vehicle. In fact on new vehicle deliver the owner should be given the option to complete disable it rather than forcing everyone to use the unit and making it real hard to even find a way to physically disable it. John, From a techie that has used it in a Yukon Denali for 6 months. Bandwidth and Latency is horrible, after 12 calls to Onstar it apparent they are aware of Antenna issue that will not be replaced. Calling support is absolutely horrendious. I’m assuming you didn’t attempt this? You get a first level person every time, no direct line to regular technical support then you must wait 3-5 days for a call back. Then get the same answers. Many people are complaining and GM is doing nothing at this point. The WiFi is fine. The problem is on my 2016 Malibu the remote start with the fob doesn’t bring it up. I have to let the engine run for it to operate. Then you can’t turn off the car with the fob. If you use the ACC mode it shuts off in 10-15 minutes. There is supposed to be In_Service mode, but it appears that also shuts off in 10-15 minutes. Asked the dealer about letting it idle in the driveway and he said no problem. You have to go out and start the engine and then you have to go out and stop it.